RIO DE JANEIRO (Reuters) – Miner Anglo American Plc (AAL.L) clinched hundreds of permits this month to explore for copper in a remote part of northern Brazil, Brazilian authorities said, as the growing electric vehicle market and a scarcity of shovel-ready mining projects fuels demand for the metal. 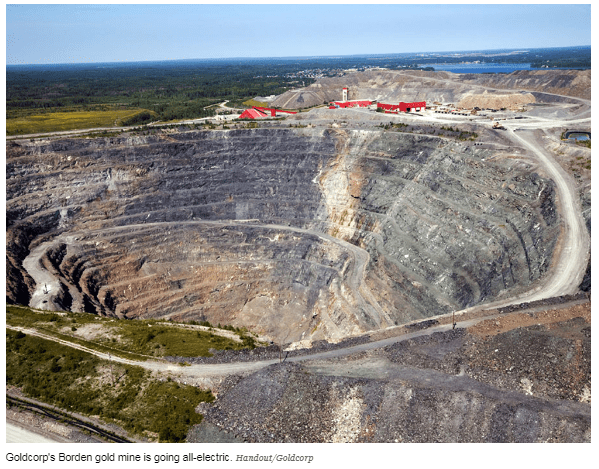 A major copper find, if confirmed, would cheer the mining industry which is eying a looming shortfall for the red metal, prized as an electricity conductor, after years of shrunken exploration budgets meant little in the way of promising new discoveries. 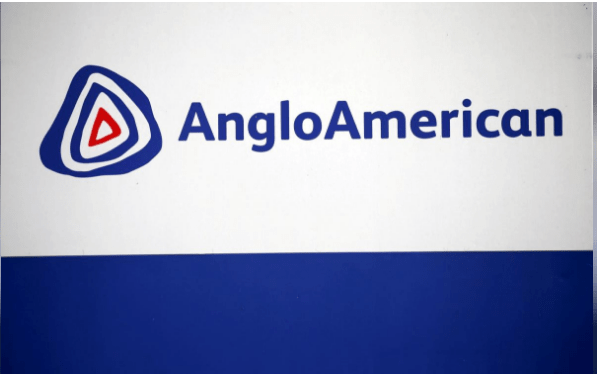 In a statement to Reuters on Thursday, Anglo said it was too soon to make claims about the viability of the project. But the company confirmed it had received permission to explore for copper in Brazil’s Mato Grosso and Para states where it had not yet begun studies. 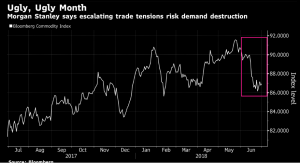 The approach under CEO Jean-Sebastien Jacques marks a shift for Rio Tinto (RIO.L) (RIO.AX), known for its cautious strategy since it was badly burnt in the commodity price crash earlier this decade after a series of damaging acquisitions. “Growth is back on the agenda,” Jacques told a mining dinner in London late on Thursday, but he said Rio would be selective. Since December 2017, Russia has cut its holdings of U.S. foreign debt by more than half. Instead, it’s been increasing the share of gold in its international reserves. That’s understandable behavior for a country that has to deal with an unpredictable U.S. sanctions policy, but it’s also part of a trend. 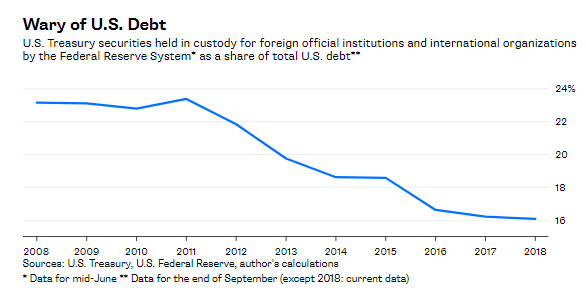 Foreign governments and international organizations account for a decreasing share of outstanding U.S. debt, and some economies have in recent years aggressively upped the share of gold in their reserves instead. On the other hand, there’s plenty of U.S. debt to buy, but countries aren’t keen to increase its share in their reserves. 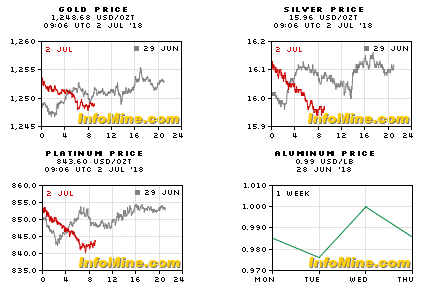 Instead, the share of U.S. Treasury securities has gone down to 25.4 percent currently from 28.1 percent in 2008, while the share of gold has held steady at about 11 percent over the same period, according to the World Gold Council. That’s in part thanks to the efforts of a few eccentric gold bug authoritarians. Apart from Russia, they include Belarus, Kazakhstan and, recently, Turkey, where President Recep Tayyip Erdogan believes the West is out to punish Turkey for his sovereignty-enhancing policies. Russia, Kazakhstan and Turkey account for 50 percent of net gold purchases by central banks in the last five years. 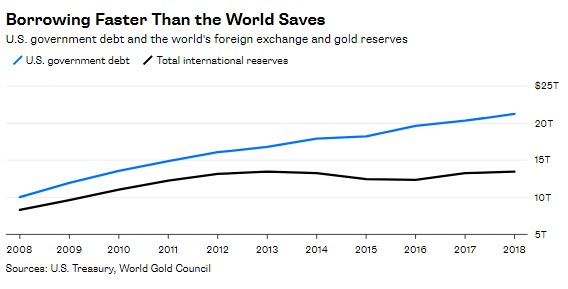 But large European economies, which have long kept most of their international reserves in gold, have mostly held their share steady rather than invest more in dollar-denominated assets. 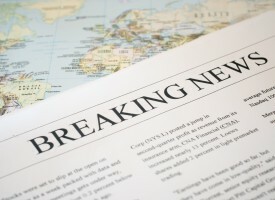 The euro area, including the European Central Bank, holds 55 percent of its total international reserves in gold, just like in 2008.
Commodities face a twin threat in the coming months, according to Morgan Stanley, which flagged burgeoning risks to consumption from a potential escalation in global trade tensions, especially for metals, as well as any slowdown in China. Higher prices have not, as some expected, led to rising output and deficits are likely to be a feature for some years. 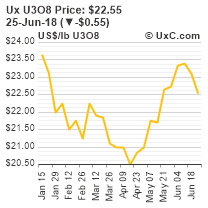 Demonstrations and road blockages in response to last month’s change of government in Armenia have impacted on the construction of the Amulsar gold project, TSX-listed Lydian International confirmed on Thursday. 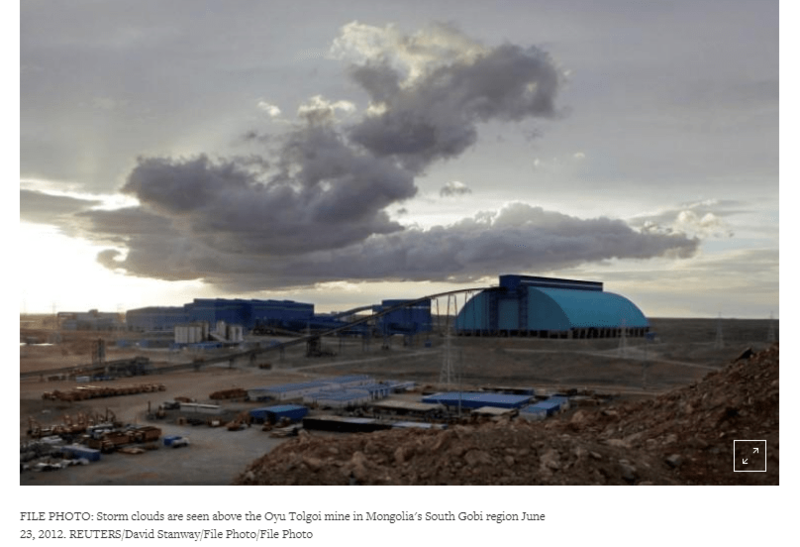 The company said that the protests, which mainly targeted the mining sector, had restricted access to Amulsar for a total of 14 days in the past five weeks. 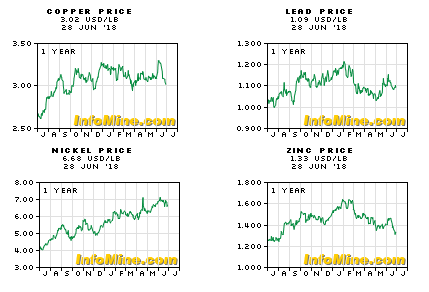 Lydian did not indicate if the demonstrations will impact on the expected starting date of the 225 000 oz/y mine. The company is working towards entering production at Amulsar in the fourth quarter, ramping up to full output in 2019. The government has made a public appeal, instructing protestors to discontinue road blockages, recognising that they are intended to discredit the government and not directed at the company. 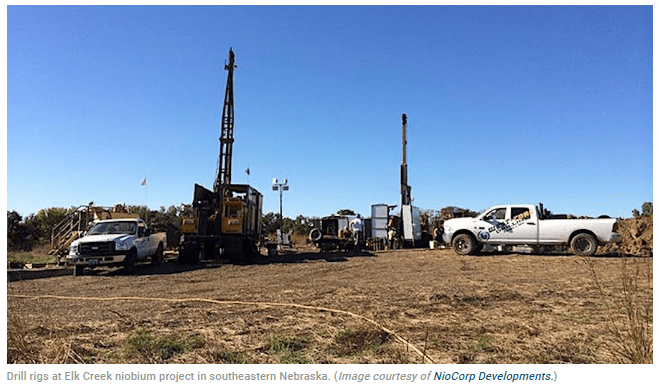 The Colorado-based company, which expects to receive the funding on or around July 9, is in the midst of developing its huge Elk Creek superalloy project in southeast Nebraska, which some politicians believe it could produce American-made “super steels” for existing infrastructure projects across all 50 states.